The Community Indoor Garage Sale features over 150 tables of goods for sale by local residents. 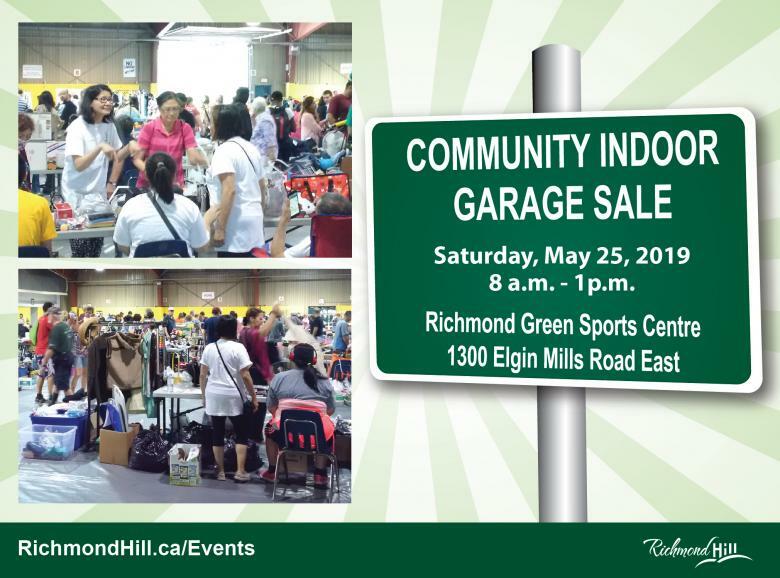 It is a great opportunity to mingle with other Richmond Hill residents, as you browse a wide selection of goods and even enjoy a treat and/or refreshment at the Snack Bar. The sale is open to the public. If you wish to book a table to sell your own items, you can do so online at www.RichmondHill.ca/ActiveRH, using your ActiveRH account. 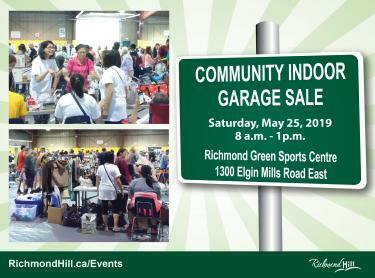 You can also register in person at any Richmond Hill Community Center. Space is limited.